. 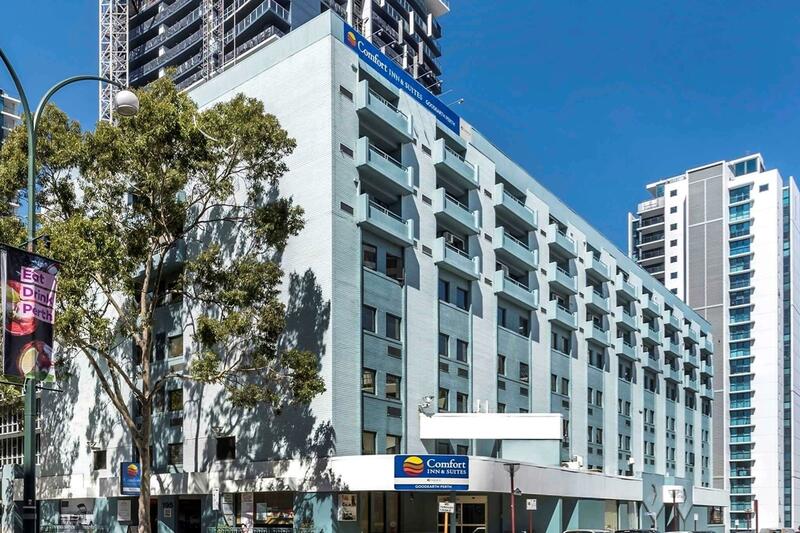 إن الخدمات التي يقدمها Comfort Inn & Suites Goodearth Perth تضمن للنزلاء إقامة مريحة. يمكن لضيوف الفندق الاستمتاع بالميزات التالية على أرض الفندق: واي فاي مجاني في جميع الغرف, مكتب الاستقبال على مدار الساعة, مرافق مخصصة لذوي الاحتياجات الخاصة, تخزين الأمتعة, واي فاي في المناطق العامة. في الفندق غرف نوم يتجاوز عددها 180، كلها مجهزة بعناية وجمال وبعضها مزود بـ تلفزيون بشاشة مسطحة, سجاد, غرفة معيشة منفصلة, كاشف دخان, اتصال لاسلكي بشبكة الإنترنت (مجاني). كما أن مجموعة الخدمات الواسعة الموجودة في الفندق لضمان راحتك تترك لك الكثير من الخيارات لقضاء وقتك أثناء فترة إقامتك. إن Comfort Inn & Suites Goodearth Perth هو خيار ذكي بالنسبة للمسافرين، فهو يوفر إقامة هادئة ومناسبة للاسترخاء. يلزم أن يقدم النزلاء صورة صالحة من بطاقة الهوية عند تسجيل الوصول. يلزم أيضًا وجود تفويض مسبق لبطاقة الائتمان بمبلغ 100 AUD (250 دولارًا أستراليًا أيام عطلات نهاية الأسبوع أو العطلات الرسمية أو الفترات الخاصة) كسند ضمان لتغطية أي مصاريف نثرية تفرض أثناء الإقامة. يقبل الفندق التعامل ببطاقات فيزا وماستر كارد وأمريكان إكسبريس وداينرز كلوب والبطاقة المصرفية وJCB ويونيون باي. 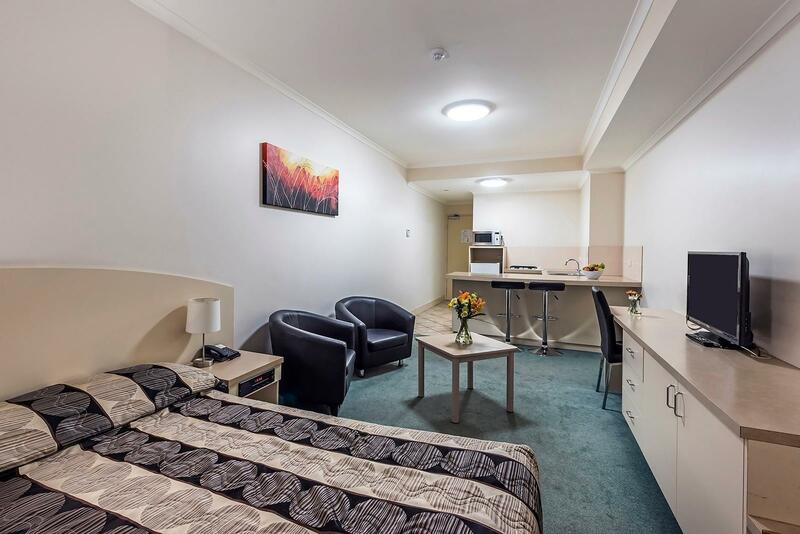 Location was ok about 15 min walk to the CBD.....very clean rooms, ladies were great making up my room daily....restaurant in hotel was very good, cold beer, good food and service...reception staff very helpful. All in all a good stay again, this is my second stay. Shane....Philippines. We are an annual repeat customer for the State Teeball Championships. We were over the moon to have access to our room & have carparking available at 7.30 am ready prior to our busy day. Our disappointment came when we couldn't buy a drink from the bar after a hot day as we had not brought any for our stay. then to also find no dinner available as restaurant was closed, only room service available at extra cost. the other option was to head across the road to the sister hotel. The meals we got there were awful , bordering on inedible. the cook can't cook steak to order. Really disappointing. Yes its a bit dated and needing a refurb . However the location and value for money is hard to beta in perth cbd. It was clean with good a/c too. Every member of staff we encountered was very pleasant and helpful . Breakfast was really good too, lots of options . Thankyou so much for our early checkin and free parking for the skyworks. Location was near to city area, there’s a Cat bus nearby. Staff were friendly. Room and bed was comfy. Good price for the location. Halal food nearby. Free parking available in basement of hotel. Can walk down to the river near the Bell tower. The location is near to CBD, a few bus stops away only, and it’s free! The staffs are very kind and helpful, room was well equipped and clean. The down side was the hotel a bit run down, however it didn’t affect our overall stay. The price is reasonable and value for money. Great location. Spacious and clean rooms. We stay in the family suite with 2 rooms and a hall. All rooms and the hall come with balcony. Transport is convenient and airport bus just walking distance away. Counter staff is helpful and friendly. The duty manager even allow me to change the breakfast date and late check-out. Thank you. Great location, many restaurant near the place and also not too far from bus station. There was free parking service on hotel basement which was nice since we rent a car for traveling. Overall: value for money. Very good location for shopping. Within walking distance. Parking is convenient n coffee house food is yummy. Staff is very friendly. I would like to thank the male staff who attended to us on May 30 very early in the morning when we arrived at the hotel. Great location, low price, comfortable bed and pillows, good WiFi, good air con. Cons - the walls were very thin and I could hear the people next door washing their dishes late at night. Harsh bright lighting. Booked Family Suite for 7 nights. Was given a room on Level 2 which did not seem to be the type that we booked - room was old and noisy as it is facing main road. The next morning, we requested a change. This time, was given a room in Level 7 and the room seem to be the type that we booked - it matched the photos advertised. Room looks like it has recently been refurbished with cleaner carpet (compared to the room in Level 2) and complete kitchen facilities. But the bed (mattresses) in this room seriously need replacement - they are too old and slumpy. Sofa is firmer - most likely because it's newer. Overall, good stay but no good sleep for a week. 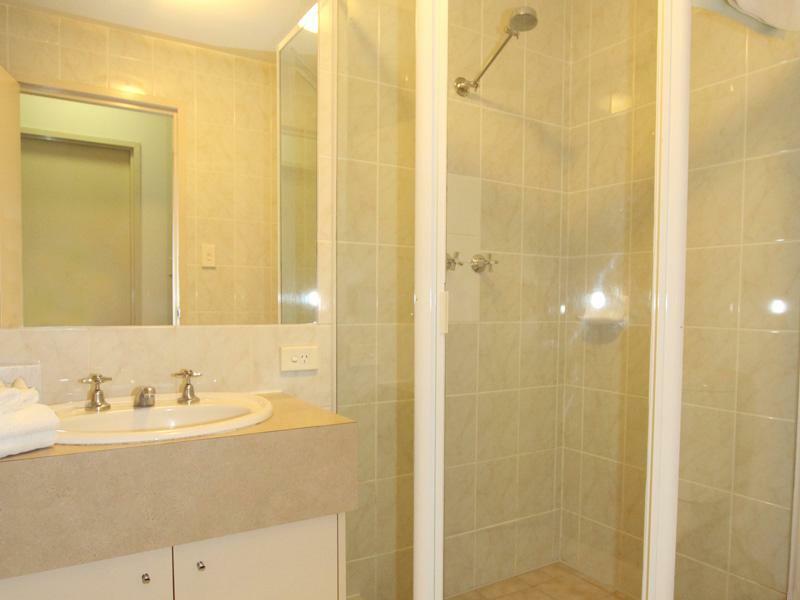 Location is good - walking distance to Red and Yellow CAT route bus stops nearby. Finally, good breakfast but expect the same dishes everyday. We booked the room with 1 double bed n 2 single, it was ok quite clean tho considerin its recently renovated, it still look a bit old.. but for the money you paid, you get more, they have kitchen with complete utensils.. they clean everyday.. the location is near city but ard hotel area there isnt a dining area, you have to walk a bit more.. if you rent a car, they give you parking in the buliding across which is very convenient.. overall very gud value for money.. Visited this hotel end of October, 2018. I moved by bus from International airport to this hotel. The hotel located near bus stop, it makes easier to connect the hotel using public transportation. The room space is good enough. Good hotel for two people visiting the city for a limited time and eating out (the small refrigerator is good for a couple of beers, some yogurt and some fruits, but not much more). Staff is very friendly and helpful with local information. The hotel has a very good location for access to all tourist attractions in Perth. If a 15 min walk from the hotel to the commercial and cultural center is too much, no worries: there is a free city bus at 3 min walk from the hotel. Just ask at reception. It posted a halal certified restaurant. Sio ww decided to book a 7 night stay plus breakfast. But on check in we found out the restaurant was not halal certified. But then again the staff was quick to help us to find a certfied halal restaurant nearby. During our stay the staff make our day. The front desk staff is always cool smiling....always there to help..
Near everything, free bus, 24/7 supermarket and walking distance to swan river. Facilities okay, housekeeping clean our room everyday. 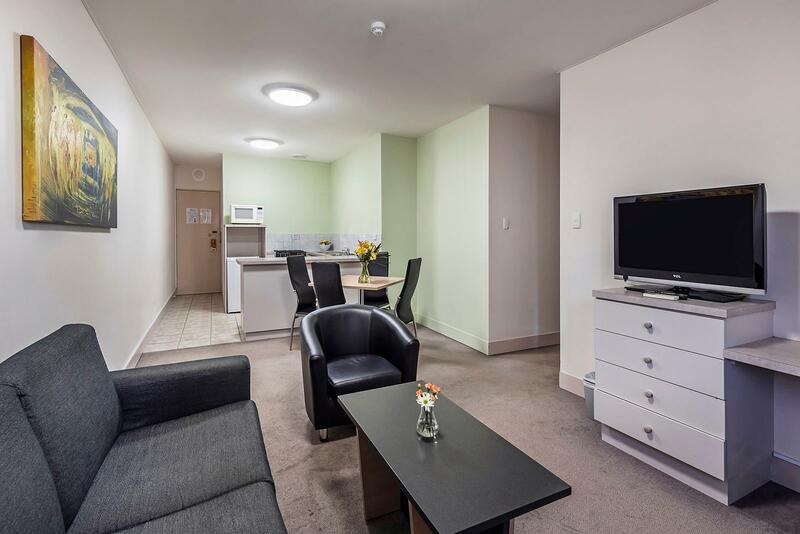 Comfort Inn is located close to the malls in Perth so it ideal for shopping. It is easy to use the free transit zone buses to get around, or walk. Also, the hotel offers complimentary parking - many other hotels in the area charge extra for this. The kitchenette was simple but adequate. The room was comfortable and we were able to open the window to take advantage of the breeze. Right from the start dealing with Greg the manager on arrival thru to mike the night manager on departure this place really excelled, rooms are comfortable, staff are rEally pleasant, breakfast and dinner are very very good value but the attitude of the staff make it worth while. A pleasure to stay there and will definitely be back. Given the number of class hotels in near proximity, this one is up there with them.